6.99 what does that mean? #21 Story Book on Scribl! Every audiobook purchase at Scribl includes the ebook at no additional charge. We call these Audio Ebooks. 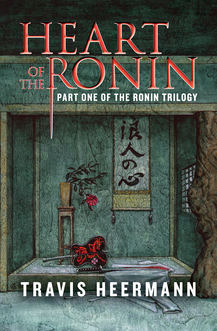 Fantasy writer Travis Heermann (THE IVORY STAR) brings thirteenth-century Japan alive in HEART OF THE RONIN, the first installment of a trilogy. Ken'ishi is just 17 years old and an orphan after the mysterious death of his parents. He dreams of training with a master who will some day help him become a samurai. Traveling with Silver Crane, a sword that belonged to his father, and a dog, Akao, for a sidekick, Ken'ishi's adventures begin after he murders a policeman and must flee. Just when he thinks he has escaped trouble, he saves Kazuko, the daughter of an influential lord, from a group of bandits. In return, he is asked to live in the lord's house, where he falls in love with Kazuko. Forced to flee once again, Ken'ishi goes on a hunt to discover his past while fighting off warriors and demons, not to mention worrying about the bounty that's on his head. Will he find out if his father really was a samurai or why the sword he wields seems to be infused with magic? Freelance writer, novelist, award-winning screenwriter, editor, poker player, poet, biker, roustabout, Travis Heermann is a graduate of the Odyssey Writing Workshop and the author of The Ronin Trilogy, The Wild Boys, Rogues of the Black Fury, and co-author of Death Wind, plus short fiction pieces in anthologies and magazines such as Apex Magazine, Alembical, the Fiction River anthology series, Historical Lovecraft, and Cemetery Dance’s Shivers VII. 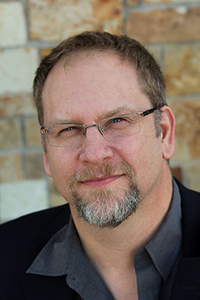 As a freelance writer, he has produced a metric ton of role-playing game work both in print and online, including the Firefly Roleplaying Game, Battletech, Legend of Five Rings, d20 System, and the MMORPG, EVE Online. He enjoys cycling, martial arts, torturing young minds with otherworldly ideas, and monsters of every flavor, especially those with a soft, creamy center. He has three long-cherished dreams: a produced screenplay, a NYT best-seller, and a seat in the World Series of Poker. In 2016, he returned to the U.S. after living in New Zealand for a year with his family, toting more Middle Earth souvenirs and photos than is reasonable.